Now & Then is actually a movie i used to love (you know, the Christina Ricci and Thora Birch movie) but i think it fits nicely on this from-now-on post. 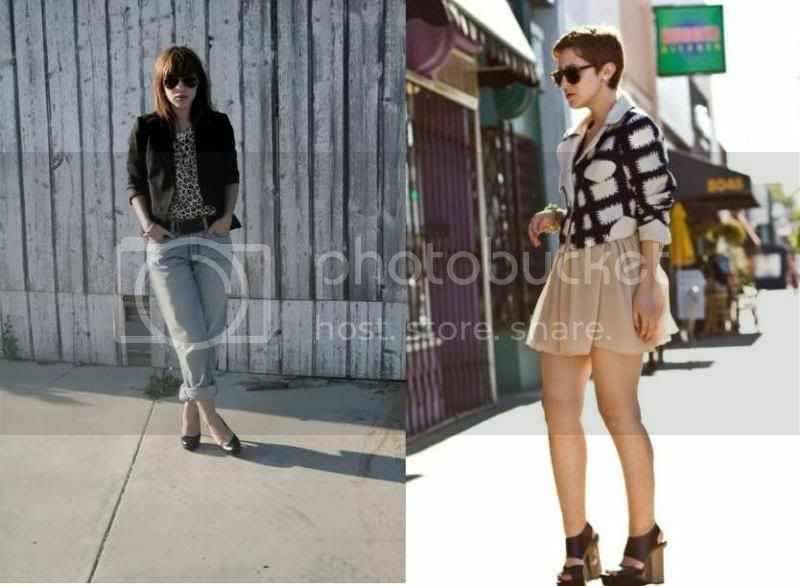 This is Karla from Karla's Closet, back on 2008 when she started her blog and now. It's interesting to look at all the well known bloggers as they were starting, because sometimes we feel (all the girls with not so known fashion blogs) that they began with a perfectly fine blog full with sponsors and great cameras. Karla's Closet is one of the blogs i visit the most, and as you can see she has great style without being super trendy or wearing a size 0. Here's a couple of pictures from Now & Then so maybe you've seen it before. y me pareció que el nombre encajaba con este post que quiero que se vuelva regular (aunque no aseguro que lo sea jajaja). Esta es Karla de Karla's closet, en el 2008 cuando comenzó su blog y como la vemos hoy en día. Es interesante ver como fue la evolución de estas bloggers que ya son super conocidas, porque se que muchas de nosotras (las no super conocidas) a veces pensamos que estas chicas empezaron su blog con una cámara carísima y llena de patrocinantes. Karla's closet es de los blogs que mas visito, porque como ven tienen un estilo muy particular (para bien) sin ser super trendy y no es una talla 0. Aquí unas fotos de Now & Then para refrescar memoria. que miedo, pase toda la noche viendo su blog hoy y recien vi tu bloggg.